[January 23rd] – today is just another Monday to most, but to me, it’s one that surprisingly brought more significance then I thought it actually would. It’s our original due date with baby #2. Why am I surprised at its significance? Well, like I have previously explained, though Nick and I were initially upset last Spring when we found out my pregnancy was unviable, we kind of got over the whole ordeal pretty quickly, and got back to focusing on our daughter Evanna… which is easy to do, when you consider the many distractions she brings lol. I know that it’s a kind of callous thing to say, but when a somewhat small situation (to us) follows a very monumental life altering event (ie. our 13 month hospital admission), at the time you’re just kind of drained of all emotions to properly mourn that type of thing. Our perspective differs greatly from most (at least that’s my opinion), and getting disappointed and emotional over a pregnancy we only knew about for a handful of weeks just wasn’t going to happen. We’ve been through so much worse, and so for us this was just a little lemon we added to our lemon tree, and that was that. For the most part, I had honestly forgotten about my miscarriage, but we’ve been trying for another baby since October, and our lack of success thus far has made me ponder on it in recent months. 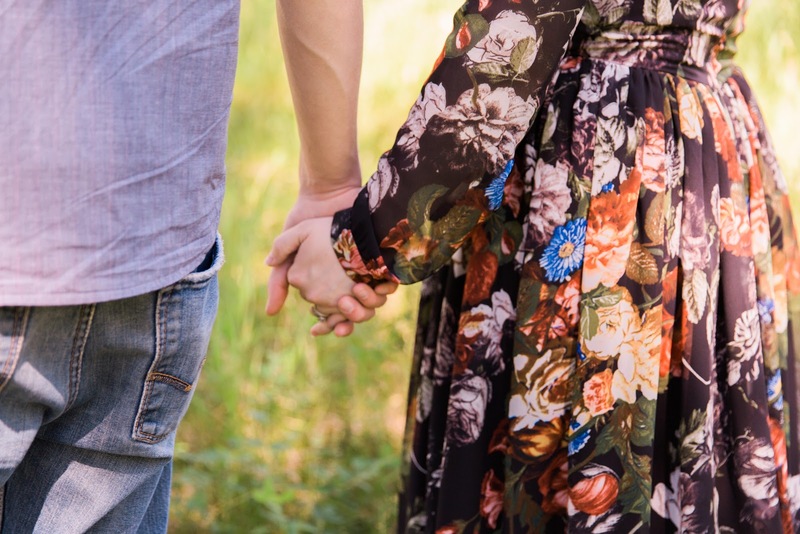 Unlike before – we’ve recently been getting negative pregnancy test after pregnancy test over the last few months (including a few weeks ago), and each one brings a little bit of anxiety. I know that’s not a very long time in the grand scheme of fertility journeys, but it’s something we haven’t experienced in the past, and so it’s kind of freaking me out. We hope it just has something to do with my very late miscarriage (I was almost 12 weeks before my body decided to finally miscarry naturally) and emergency D+C, and so my body is just taking it’s time to get things back in order. I think it is -- as my cycles are finally starting to normalize again, and I’m praying this is just a small hiccup on our road to having more kids. Overall, I still don’t think it’s the loss that I’m upset about, but it’s kind of mind blowing that we could have been welcoming another baby into our family this week, and it’s a little heartbreaking that we are nowhere close to doing that. Like if I was currently pregnant, today would have just been another day, and the “life planner” side of me wouldn’t be so worried. Yes, I’ve learned that things happen for a reason and everything ends up working out in the end – but I’m ready to lead a less dramatic life, and for things to “just be normal” (though, I gotta admit – it makes for some great blogging content!). Bring on the boring life filled with lots of “carefree moments” and be that “all Canadian family” (can’t say “all American family”… cause well, we’re not American lol). Cause yeah…. I have absolutely no desire to add “fertility issues” to our AboutUs page (which is in desperate need of updating btw), and wouldn’t mind if I could stop feeling like we’re being punished for something, and life would just start being a little kinder to us…. “just a couple of curveballs” – that’s how I would personally describe 2016 (“high highs and low lows” would have definitely been 2015’s description if I had actually gotten around to doing a “review blogpost” last year…. but we were somewhat in “survival” mode that December, and blogging kind of fell to the wayside for a few months). We saw Evanna thrive beautifully over the year since coming home, remain stable, and most importantly – OUT of hospital save a handful of admissions (April, October + December). However, despite some major gains and getting a few relaxing breaks, there were some areas where we were unsuccessful in accomplishing certain goals (ie. wean oxygen and ventilator support) and received less than favorable news in regards to Evanna’s health, and it has made me a little nervous as we move into the New Year…. Shall we begin? Well, not only did we end the year with a surgery, but we also started the year with one too. After about 16 months with an NJ/NG feeding tube and finding out that we are potentially facing years of tube feeding, we (well I) decided to proceed with a GTube surgery. Nick was a tad apprehensive about putting Evanna through another surgery and essentially creating another “hole” in her body (who could blame him? ), but thankfully the surgery was our smoothest to date, and we both agree it the best decision we’ve ever made (unlike past surgeries, this one was on the more “elective” side, unlike the multiple open heart surgeries she's had). Under the same anesthetic, they also performed a CT to try and get an idea of what her “collaterals” were doing. While we weren’t exactly surprised by the CT results, it unfortunately wasn’t what we wanted to hear, and only confirmed Evanna’s grim long term prognosis. 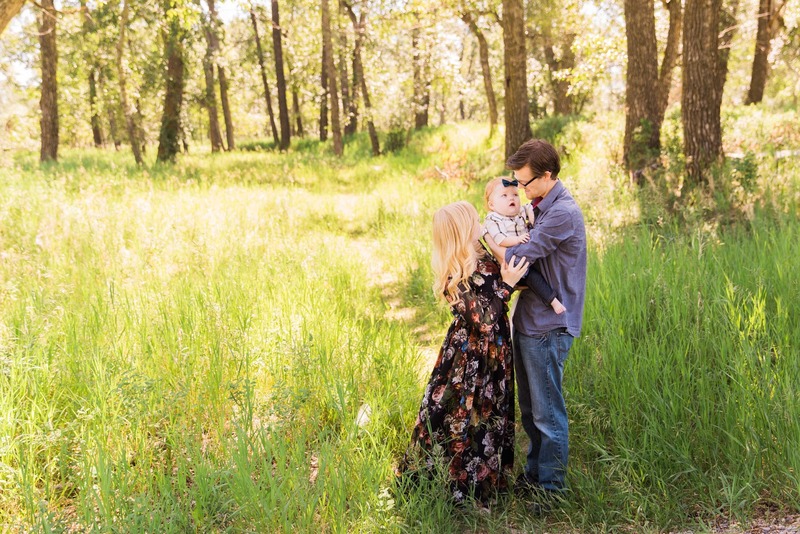 Spring was both rough and a little harsh for our family, while also granting a few tender mercies and milestones for Evanna. We were able to successfully wean Evanna off all her diuretic medications and supplements associated with them, and she finally began to gain the strength and learn to sit up with limited support. It however brought our second admission of the year that required a trip back up to Edmonton when she developed a sternotomy infection that required a pretty big debridement surgery. The recovery wasn’t smooth sailing -- but overall it wasn’t a horrible admission (by our standards), and we were able to see some of our favourite friendly faces during our time at the Stollery. In May we found out I was pregnant, only to find out that the pregnancy was unviable during an ultrasound a few weeks later. Unfortunately, my body didn’t get the memo, and I was almost 12 weeks along before naturally miscarrying, and ended up in the emergency room in some pretty intense pain (which landed me in operating room at 3am for an emergency D&C on July 4th). We also proceeded with a bronchoscopy for Evanna to see how her airway was looking near the end of May, but we were left with some undesirable results and were disappointed that we couldn’t make any decreases on her home ventilator during our time in the PICU. Ahh – S U M M E R! If there is anything that will make me smile looking back on 2016, it will be the wonderful and relaxing summer we got to enjoy. We seriously didn’t have any medical appointments between the end of June and September, and got to enjoy some “care free moments” that we so desperately needed. I went away a few times up to a friend’s cabin outside of Edmonton and let loose at a country music festival over a beautiful August weekend. We moved into our new home at the end of July and ended the season with some wedding fun of some very dear friends of ours. Then September rolled around….. and if you recall, I wrote this blogpost in which I spoke about “rocking the boat” and bracing ourselves for a busy Fall/Winter. In hindsight, I wonder if I somewhat jinxed myself and made things worse, but at least we were somewhat mentally prepared for what was about to come our way lol. We had some major appointments take place that month, but most notable was cardiology where we officially asked our cardiologist to send Evanna’s medical records for a referral and seek out a second opinion from Dr. Hanley down in California about Evanna’s heart, and inquire if there was anything more he could do for her. Unfortunately, a few weeks later, Evanna started to deteriorate at home, and was diagnosed with Endocarditis with the infection turning out to be one of the worst you can get in your blood stream – pseudomonas (it’s a very “sticky” bug that’s very hard to clear). At one point during our admission, Evanna caught a cold that bought us a ticket down to the PICU for a week, but once she was stable and we figured out a proper antibiotic treatment course, we were discharged home until we could proceed with an open heart surgery to replace the infected prosthetic material that resides inside her heart. We somewhat hibernated all of November to keep Evanna as healthy as possible, but the PICC line clotted and we ended up being readmitted on December 1st and remained in hospital until we were finally transferred up to Edmonton on the 11th for her 4th open heart surgery on the 12th. Considering the intensity that every open heart surgery brings, Evanna blew everyone away with only staying 1 night in the PCICU, and did relatively well in the step-down unit the following week. After the chest tube was removed (1 week later…), Evanna was flown back to Calgary on December 21st, and we were surprisingly discharged home just before the holiday weekend on December 23rd and got to have our little Christmas miracle after all. On to some other accomplishments…. though this post seems to be centered around Evanna, there have been a few personal goals that Nick and I have been working on since we got married (heck even before then) that don’t have anything to do with Evanna and her health, and we’re proud of finally obtaining a few big milestones and reaching some of those goals in recent months. As previously mentioned we moved out of our townhouse this past summer and into a new house that we began building last Fall (around the time Evanna had her “big discharge”). We actually saved up a 2nd down payment for this new place, and kept our townhouse as income/rental property (which has now been rented out since last August). When we set out to building our current home, we actually built it intending to turn it into a double income property in the near future, and kept that in mind throughout the entire buying/building process (adding a separate entrance into the building plans, building on a larger corner lot, ensure we had a laundry room upstairs and space for a 2nd laundry room in the basement suite, etc). This past October while Evanna was in hospital and we were dealing with some rough news, we received a letter in the mail from the City of Calgary giving us permission to proceed with building a LEGAL basement suite! So while we’ve been extremely busy with Evanna and her health the past few months (ie. her 4th open heart surgery), we have been even busier behind the scenes (well, more Nick…. but that meant I was on full “Evanna duty” up in Edmonton) dealing with trades and developing our basement. Currently we just completed the drywall and mudding phase and Nick hopes get some paint up on the walls sometime next week. We hope to have the entire project done by the end of February and rented out by March/April (which will dramatically lower our current cost of living), and I can’t wait to show you the final results! It has taken a lot of work, self-control, and commitment to get to this point, and there are still several things we have to work on in the foreseeable future. Yes, Evanna’s hospitalizations have sometimes complicated achieving this, but we “pressed forward” whenever things were stable and did our best to “live below our means” (our answer when people ask us how we save the money to do all of this). Our goal is to move again in about 5 years to a more permanent home where we can put down some roots and raise our kids (I hate to use the term “forever home” …cause well, life is life and you just never know what could happen), which will allow us to rent out the top half of this property. After that, I have no idea what we intend to do, but I think our current “5 year plan” is keeping us busy enough and we’ll discuss it when the time is right. Will we continue to try and obtain more income properties after moving again, or find a different way to invest for our future? Only time will tell, but I just wanted to share this triumph that has been years in the making (we’re talking 6-7 years of planning and saving here) and something we’re proud of obtaining in the timeline we originally set for ourselves. So what’s on the docket for 2017?? Well, we’re starting off the year hitting the ground running with oodles and oodles of medical and therapy appointments. With Evanna’s case of Endocarditis behind us, we have a lot of catching up to do, and have some pretty big things that require our immediate attention. First up will actually be a trip BACK up to Edmonton (yes, you read that right!) to proceed with a cardiac cath to send down to Dr. Hanley in California as previously requested. I can’t express how much is riding on this test and I just want to get this over and done with so we will know where we stand. I’m balancing both hope and complete dread as to what the cath will show and what Dr. Hanley will say. The cath could show that there is some collaterals within lung tissue that he can rehabilitate, or it could show that there is nothing that can be done, and will just have to enjoy the time we have with Evanna knowing not much will change or improve. Yeah – that is a pretty intense way to start off the New Year. On a respiratory side of things, the team is eager to do a bronchoscopy to see if we can finally start decreasing Evanna’s vent settings. During our admissions between October + December, many of the Respirologists were able to physically see Evanna’s strength (not to mention how well she recovered from this latest open heart surgery), and we are all crossing our fingers that it’s starting to reflect in her airway and allow us to decrease some settings – namely her PEEP. We have an airway appointment next week, and the main thing I plan to discuss is pushing booking an OR for a bronchoscopy (and if there is one thing I’m good at – it’s being pushy!). Finally Evanna’s development – our genetics team has put in a request for us to see a pediatrician who specializes in child development, and our appointment is in a couple of weeks. Though Evanna has developed by leaps and bounds over the last year, there are still lots we have to accomplish, and so I’m very interested to hear this physician’s assessment and recommendations. Evanna doesn’t really know it, but I’ve got some “New Year’s Resolutions and Goals” for her, which include walking by summer, introduce and work on communication skills (both in the forum of sign language and hopefully a speaking valve once we can decrease her PEEP settings on the ventilator), and hopefully pass our next planned swallow study (just waiting on a call back with a confirmed date) so we can begin some intense feeding therapy (don’t worry, I’ve given myself a few goals too!). In A P R I L, Evanna will turn [three] years old, and so believe it or not, thoughts are very slowly starting to swirl around my head with some plans and ideas for the big day. Other social plans are already starting to populate my agenda, but I’m hesitant to make any promises past April until after the cath and we hear back from Dr. Hanley with his final opinion. Last year, due to Evanna’s somewhat “unstable” health and safety, Nick and I did a lot of separate events so that one of us was always home (or just minutes away), but this year we have agreed that with her being older and much more healthy + stable, to somewhat do more things together as a couple – such as a simple getaway weekend and fit in some more “us time”. There is lots I would love to do this summer, but again, I’m holding off on making permanent plans until after Evanna’s cath and we hear back from California. Other than that, my fingers are crossed that Evanna will finally enjoy a first Thanksgiving at HOME, and we have an even healthier year with even less time spent in hospital. Thanks for continuing to be a part of our lives and hope everyone enjoyed the holiday season!